It’s that time of year again when crowds will flock to see Sydney lit up. If you are thinking of doing Vivid with kids and need to plan your trip into the city, we found the best sights to see right here. 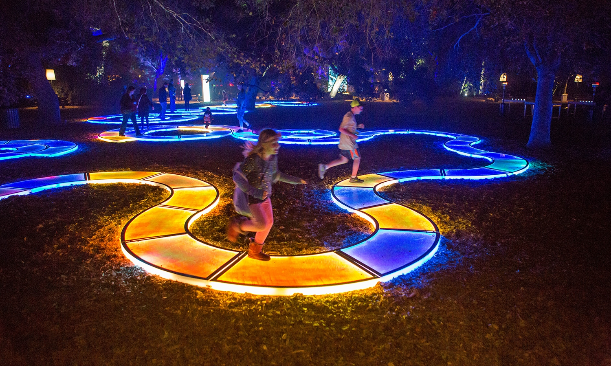 Aqueous is an interactive pathway that lights up and changes colour as the tribe runs or walks along it. Aqueous can be seen by day, reflecting the sky above and at night, the pathways illuminate and are ready for interaction. 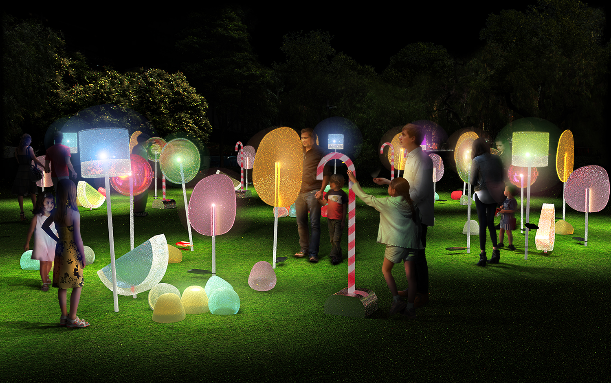 There are tonnes of other Vivid installations in the Royal Botanic Gardens that are suitable for kids. There’s the bright and colourful Parrot Party, Oasis and Wish Happiness. 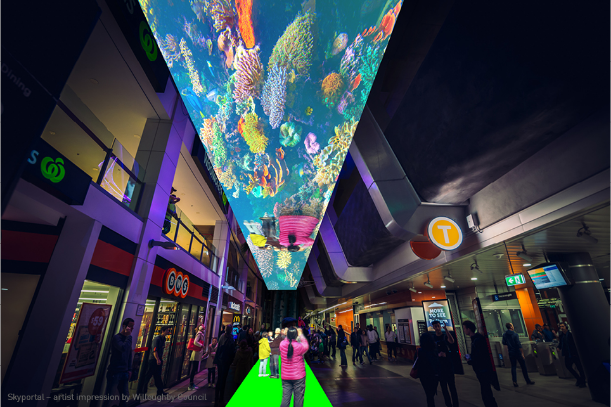 Walk under a giant screen and see yourself mirrored above and then transported to places like the Great Barrier Reef or navigate your way through ice bergs and snow. Other fun installations in Chatswood include Liquid Lies where you can be hooked up to a lie detector and asked questions. The crazy professor will decide if you have earned a sweet treat drink or a sour sludge drink. Magic Carpet ride at the Interchange is loads of fun for the kids too. Sit or stand if you like on the magic carpet which will transport you to another world. When you move, new scenes start to appear. 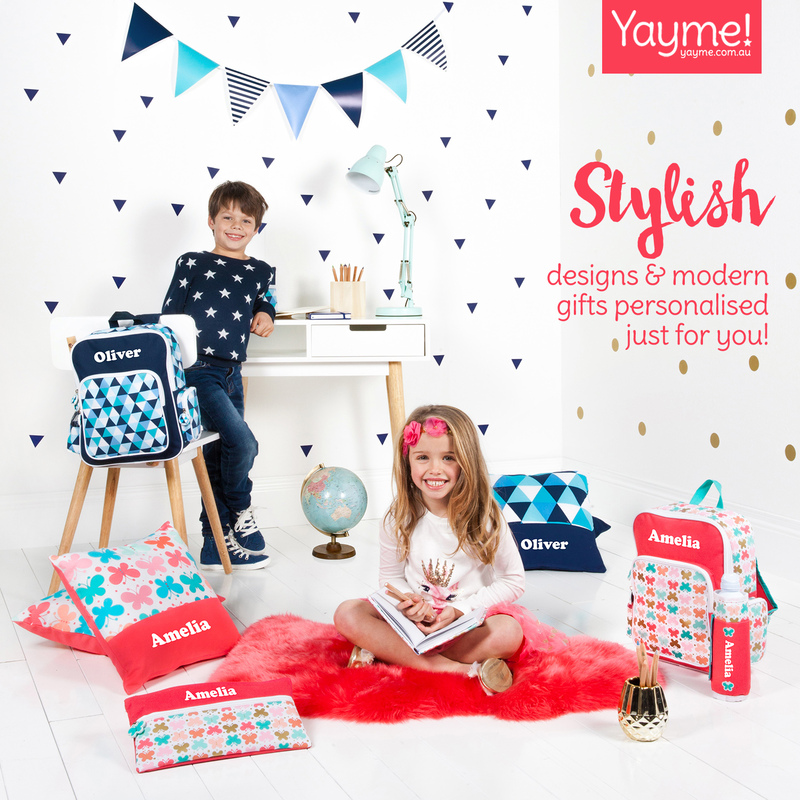 You could bounce with bubbles, swim with fish or scatter stars in the night sky. The tribe will also love Future Scape at the Concourse – a space show for the whole family. Lights for the Wild is Taronga Zoo’s theme for Vivid this year. Explore the zoo at night and enjoy the light sculptures including some of NSW’s most endangered species of marine life. The entrance to the zoo has been transformed into a Port Jackson shark which you must enter through its mouth! Tickets to the zoo for Vivid are $26.95 on Friday to Sunday nights for adults and $18.95 for children. You can also purchase limited tickets each session for the American Express Skyway where you can see more of Vivid from the Zoo Sky Safari. The Garden of Sweeties teaches tribes all about solar panels and renewable energy. 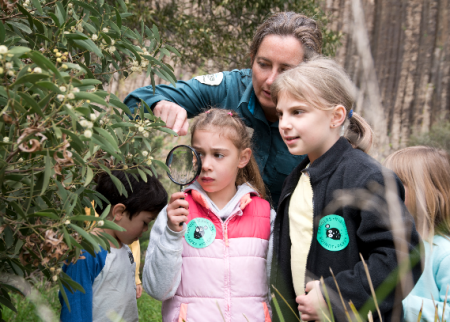 Based in First Fleet Park, this sweet installation is especially built to encourage children to learn about how they can be more aware of the environment and reduce carbon emissions. Nearby you’ll find the Harmony Valley – Rainbow of Peace & Trees of Friendship which is a colourful and fun inflatable installation. Visitors are encouraged to interact with the installation by making a human chain, holding hands and linking from the rainbow to the trees. There is much to see in the Darling Harbour precinct, but if you want to have dinner in one of the restaurants be sure to make a booking because everyone is heading to Darling Harbour to see Vivid. The added bonus of Darling Harbour is the Friday and Saturday night fireworks display at 8pm. The Vivid displays in Darling Harbour include Enchanted Garden: At Tumbalong Lights – a pathway into a glowing underwater world of colourful sea plants. This display is an interactive one where kids can step onto the pathway and let the lights lead them to different places. Other installations in Darling Harbour include Beneath the Sea, In the Scale of the Sea and Fantastic Oceans. Want to grab some dessert after Vivid? Try some of these sweet spots.